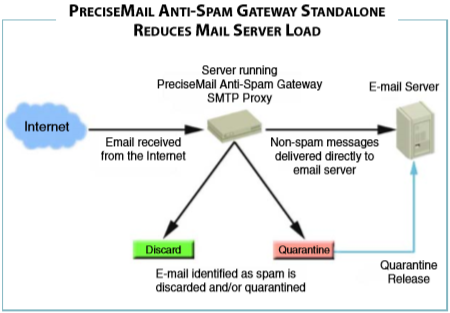 PreciseMail Anti-Spam Gateway is an enterprise solution that eliminates spam, phishing and virus threats at the Internet gateway or mail server. According to an independent third-party test, PreciseMail Anti-Spam Gateway has a 98% spam detection accuracy rate out-of-box without filtering legitimate messages. It works with any mail server and is easy to use with an intuitive web-based administrator and user interface. 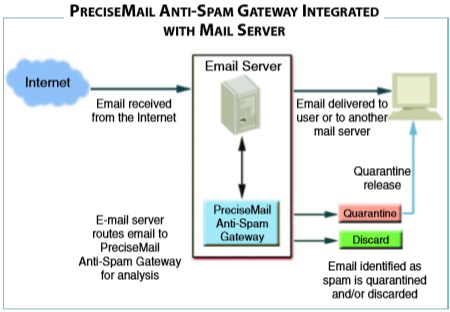 PreciseMail Anti-Spam Gateway’s highly sophisticated filtering engine is based on a combination of proven technologies, such as heuristic analysis, DNS blacklisting, reputation filtering, Bayesian artificial intelligence technologies, and more. As a result, PreciseMail Anti-Spam Gateway intelligently analyzes whether a message is spam instead of passively reacting to known spammers by creating rules that block them after a spam attack occurs. Process Software provides customers with timely automatic filter updates so that PreciseMail Anti-Spam Gateway’s accuracy is sustained over time with no administration required. PreciseMail Anti-Spam Gateway is designed to integrate seamlessly with an organization’s email server or gateway and may be deployed inside or outside a firewall. Runs on the same system as the mail server or a system placed in front of the mail server. Supports various authentication methods so that an organization can choose what best fits their existing environment. The authentication options are LDAP, IMAP4, POP3, PreciseMail’s user database, or local system password. Supports TLS using the SMTP proxy configuration so that an organization can continue to send and receive confidential email. Scales to meet the requirements of a large enterprise. The Advanced Infrastructure (AI) module provides a scalable backbone for organizations that have deployed multiple high traffic email systems. It allows organizations to easily manage filtering distributed among multiple MTAs. Sharing data among many systems simplifies both management and end-user access. Provides administrators with the option to set group policies filters to meet an organizations diverse requirements. PreciseMail Anti-Spam Gateway provides the highest degree of flexibility compared to other anti-spam solutions. Although it is an effective out-of-the-box solution, system administrators can adjust the Process Software supplied spam definitions by tuning the various weights applied to each rule, depending on how aggressively they want to filter spam. 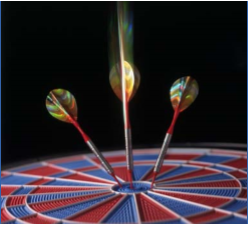 A combination of rules can trigger a positive score, which indicates that an email message is spam. The threshold of this overall score can also be adjusted. For example, the total score of the combined phrase low interest rates and click below would trigger a threshold set by a system administrator that indicates the message is spam. System administrators can customize PreciseMail Anti-Spam Gateway by adding their own rules to meet specific organizational requirements. Any of these customization options can be applied to all users or groups of users. Once email has been identified as spam, a defined action can be taken depending upon the score of the message. The email can be quarantined, tagged, or discarded. If users choose to quarantine suspected spam messages, they have access to their quarantined email at any time from their personal spam management web page. Suspected spam is quarantined in real-time so that there is no delay in the message delivery. If users choose to tag suspected spam messages, they are notified in the Subject line. Users can set rules in their email clients, such as Outlook, Thunderbird, Eudora and others to place tagged messages in a special folder. Detailed graphical reports on filtered email trends provide useful information on the overall message environment. Statistics and trends that are reported include: number of messages processed, number of messages filtered, number of messages quarantined, number of allow and block lists, top domains sending spam, user actions, and more. These reports allow you to monitor the return on investment by seeing how much spam is filtered and no longer affecting your users or system and network resources. 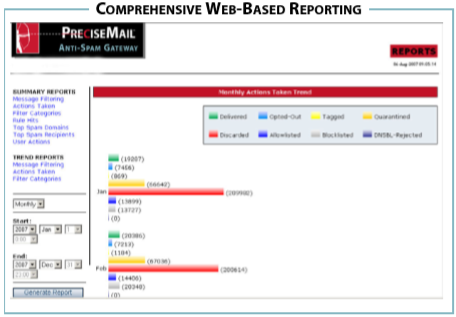 PreciseMail Anti-Spam Gateway’s logging and reporting capabilities allow system administrators to quickly determine why an email message was classified as spam. This information is useful for determining if a rule or threshold should be modified. Because viruses, spyware, worms, and Trojans pose a substantial threat to organizations, PreciseMail AntiSpam Gateway includes bundled anti-virus options with industry-leading Sophos Anti-Virus software and Clam Anti-Virus. The integrated anti-spam and anti-virus solution offers complete email protection at the Internet gateway. It includes a unified centralized web interface and automatic virus definition updates for easy administration. Process Software’s Technical Services Program has a well-deserved reputation for excellence. Services include consulting, training, software maintenance, online resources, and standard or 24-hour support. Request a free evaluation copy of PreciseMail, or contact Sales directly for more information.